This will be Samuel Girard's first Olympic Games. 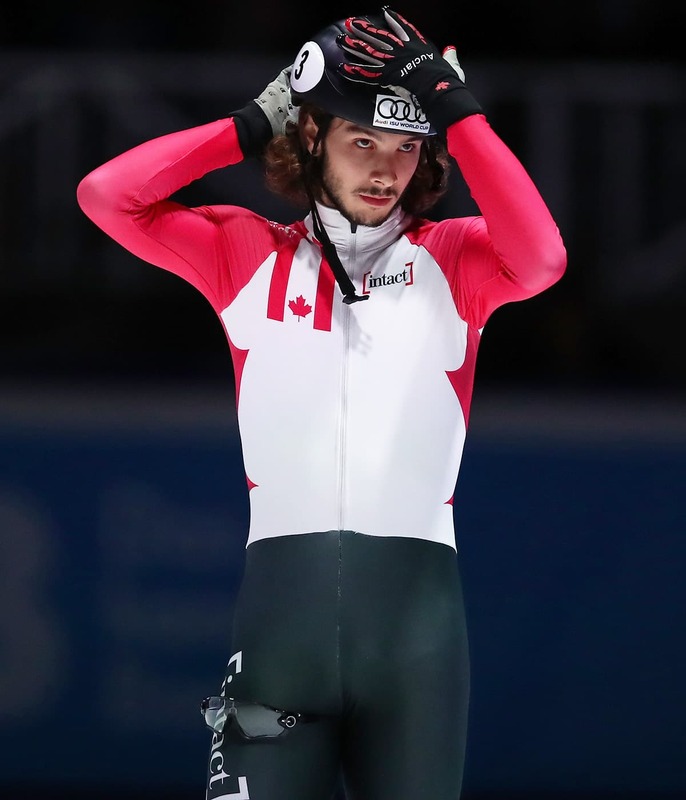 Before he flies to Pyeongchang, South Korea, one of Canada’s top short track speed skaters tells a story of anticipation in five parts. The World Cup season is now over and I'm back home until I leave for the Olympics on Feb. 1. The Canadian team has done well in qualifying for the Games, but now is the time to rebuild the machine for the big time. We are currently in a phase of rebuilding our fitness, which we could not work at during the World Cup competitions. It is a rather difficult period, both physically and mentally. We have been in ideal shape for performance at the World Cup for the last two months, but now we are going back to the beginning of the process. It's hard to stay excited about starting the grind again, but we need to be positive and keep our eyes on the end goal if we want to find the motivation to train day after day. This is why finding balance is very important. For me, that recharge comes during my rest periods, and it comes when I can escape into the forest. When I have a few days in front of me, I take the opportunity to go hiking or just wander for a while in the forest with my girlfriend and my dog. Athletes who compete at the international level are used to stress at competitions. We have learned to harness the adrenaline rush that brings us a ''kick'' before we perform. But for me, this year is different. When you participate in the Olympics, in the biggest competition in all of amateur sport, that is something to be stressed about! I believe that the magnitude of the event amplifies the emotion factor for each of us, but I also believe that I am ready to take up this challenge, because I have been coached and prepared for the upcoming situation. So I am prepared, yes, but what I have not yet had the chance to experience is the sense of a whole country's expectations. When we rehearse for the Games, we do a lot of things, but nothing quite duplicates that. There will be millions of people watching my races on television or the internet, hoping for me to win a medal. It’s not that the country comes out and directly says, “We have very high expectations of you, Sam,”… but the pressure is still there. How to manage that? I think I have found a way. I mentioned above that having a balance and getting away for some time in the woods plays a very important role for me, but there is also a close circle of people who help me prepare for it all. The French word would be my “entourage,” but in English it’s probably more accurate to just say my teammates and fellow skaters. I have the good fortune to be a younger skater among training mates who have already experienced the pressure of the Olympics, and for a few of them, more than once. Athletes like Charle Cournoyer, François Hamelin and Charles Hamelin are mentors for me as I find my way into my first Olympic experience. They often come around to discuss the Olympic moments that they have experienced. This helps me to understand the nuts and bolts of how things will work, and it also helps me to prepare for what is coming. We cannot predict everything, but at least with their experience, I can prepare for many eventualities. It is thanks to these mentors that I will be ready to perform. During the preparation for the Olympics, I need to be 100 per cent into my training, which means that I have to make some sacrifices. I have already made the tough decision not to be with my family for the Christmas holidays. I am someone who loves family, and those moments for me are very important, but this year, I have to make an exception. That doesn’t mean that I pretend I have no relatives during the Christmas period; I just have to give myself the best possible chance to succeed. I have to focus fully on my training. I am lucky to have parents who understand why I will not be present this year for Christmas and their understanding makes my decision much easier. But there is no denying this is not my favorite choice. After the Olympic trials, World Cups and intensive training sessions, it will be time to experience the Olympics. It will be the culmination of several years of work, and above all, it will be the fulfillment of a dream I have held since childhood. In addition to my own Olympics, and being able to cheer for the national team, I will get the chance to watch my girlfriend Kasandra Bradette, who will also be living her dream with the short track team — compete her first participation in the Olympic Games too. It is something that very few people get the chance to experience, and I am very happy to share it with her. But that's not all: my family, (the family I can’t spend Christmas with), will be with me. They will see my races live in the arena in Pyeongchang. Knowing that they will be sitting in the stands at my competition will give my performance a final boost, and hopefully, I will win my first medal. Don’t hesitate to follow me on the social networks. I promise you a backstage pass to Pyeongchang!